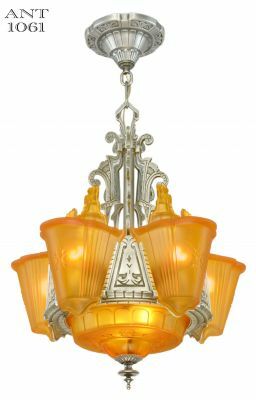 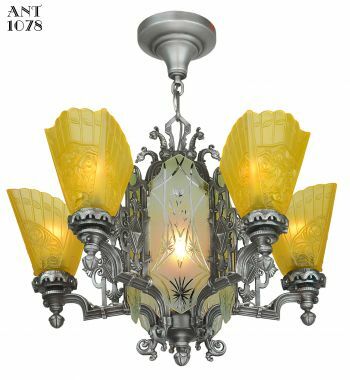 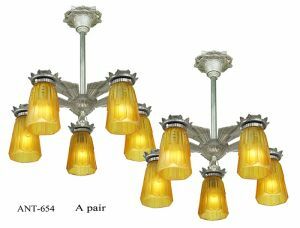 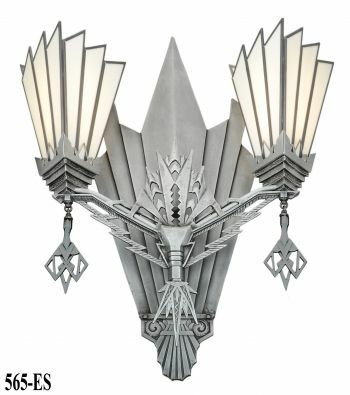 Nice original Art Deco design five light chandeliers. 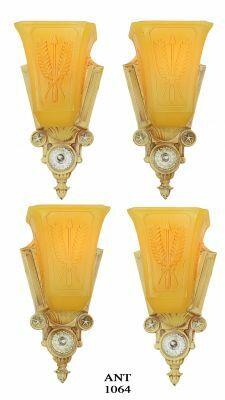 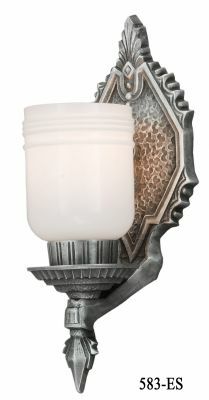 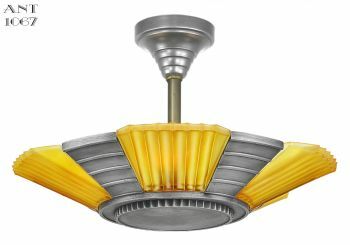 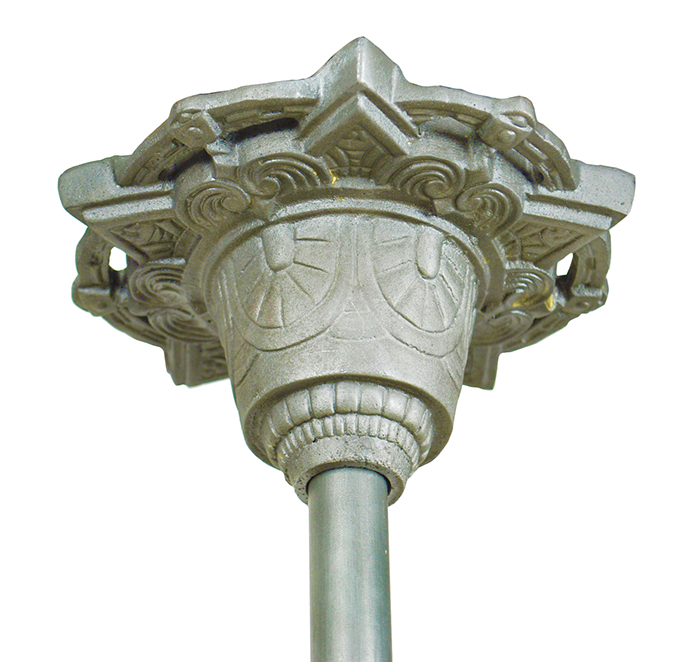 Circa 1935, these were originally bare bulb light fixtures. 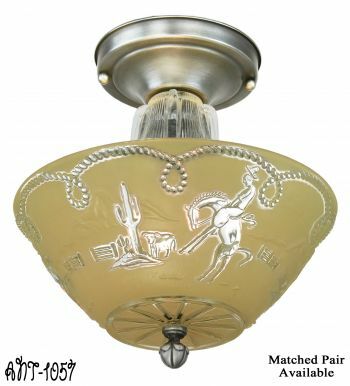 We have added 2 ¼" fitters to use drop-down shades...which we have now supplied. 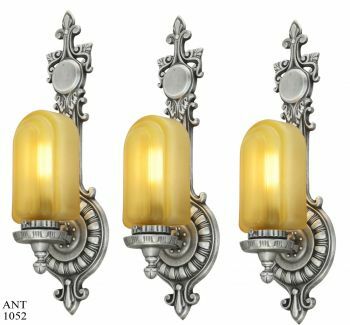 Pewter finish, with amber shades, and a pair. 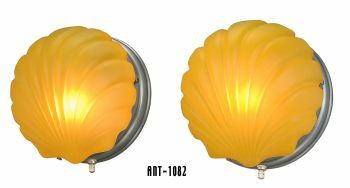 Good combination! 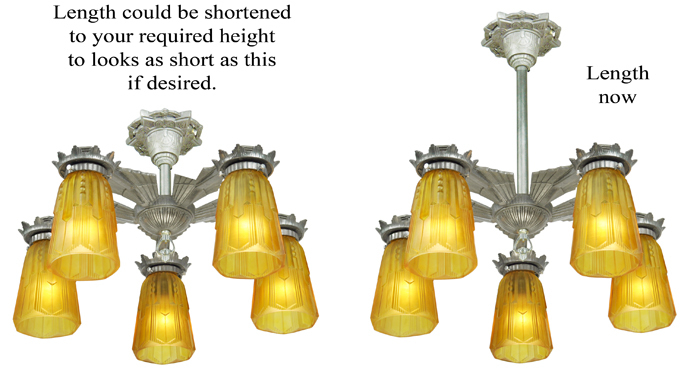 These chandeliers can easily be adjusted for height by trimming the stem. 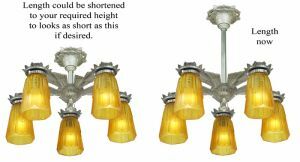 We can do this for you...just tell us what exact height you want from the ceiling to the absolute LOWEST point of the chandelier...and we will take care of this for you. 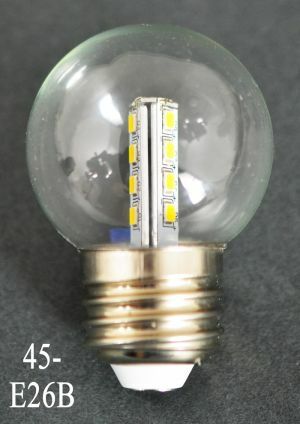 Completely re-wired to UL standards in our UL shop, with new sockets and lead wire. 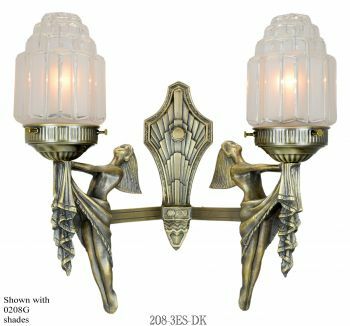 Mounting kits will be supplied. 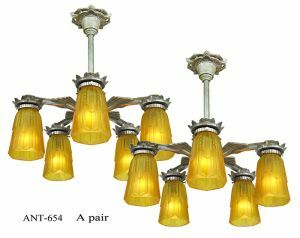 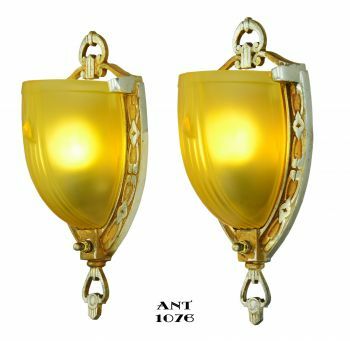 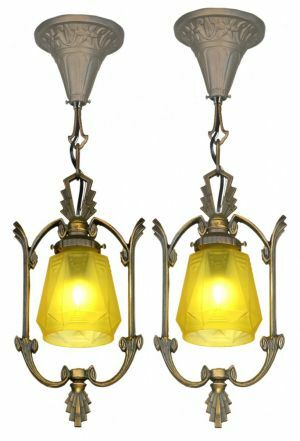 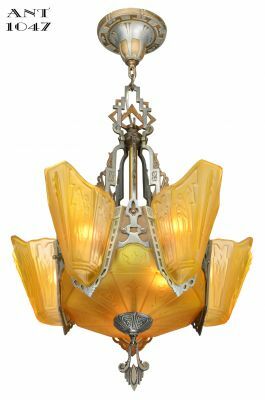 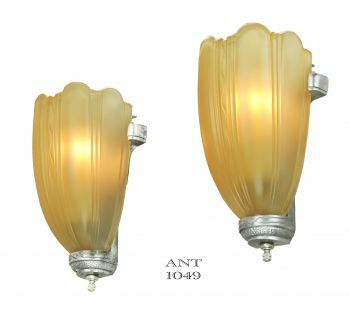 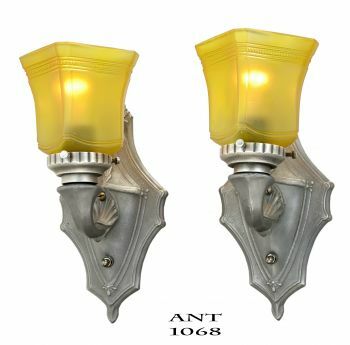 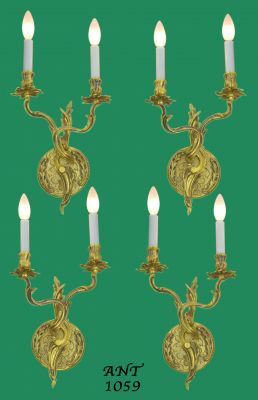 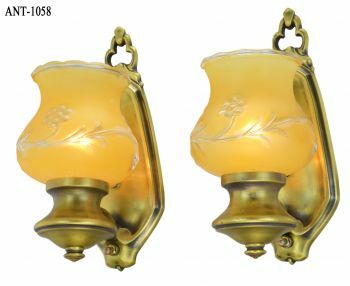 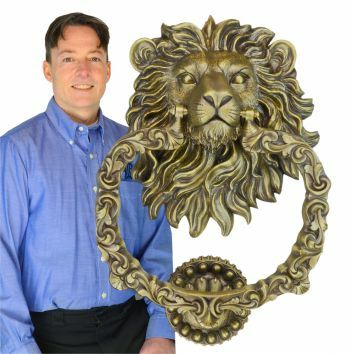 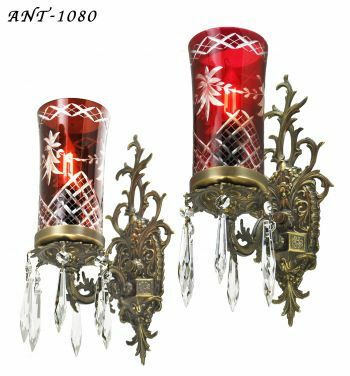 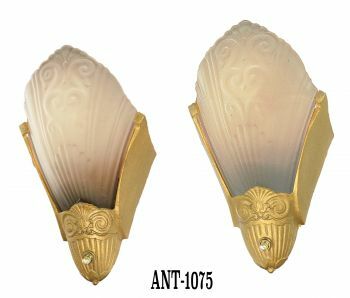 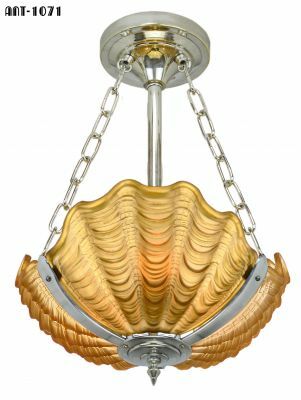 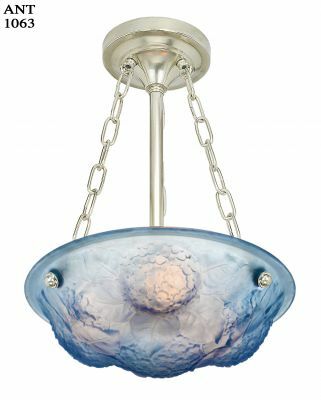 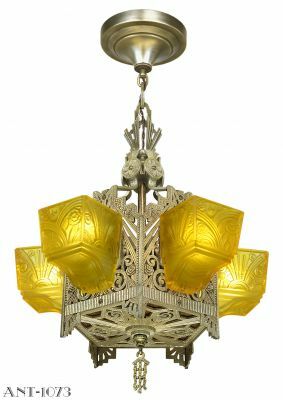 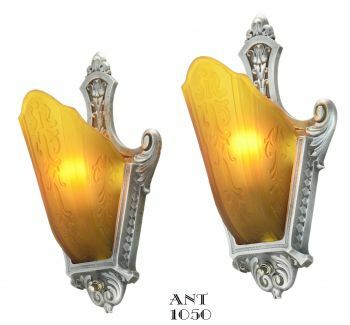 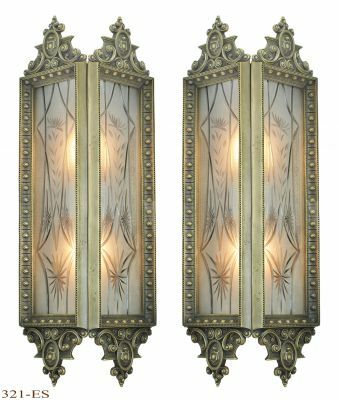 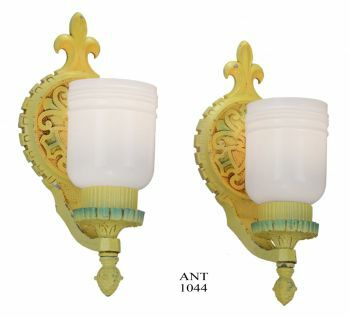 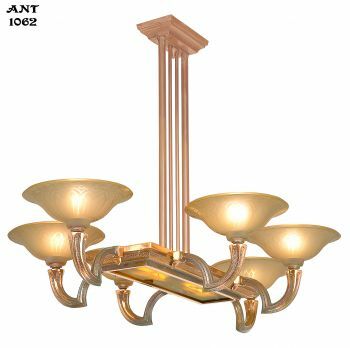 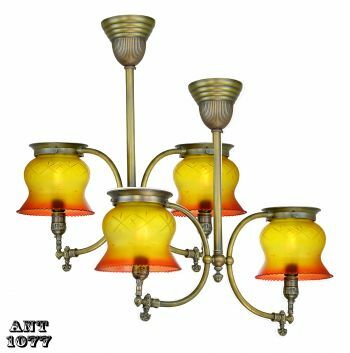 Sold as a PAIR, complete with the amber glass shades as shown, for $1,450.00 plus freight.